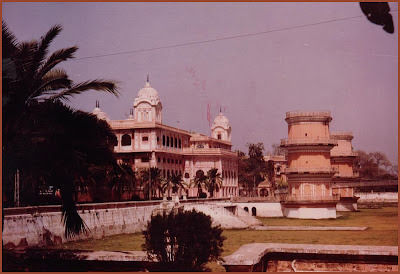 is a palace in Patiala, and was built as one of the largest residences in the world and served as principal residence for Patiala royal family till late 40' when it shifted to New Motibagh Palace which acts as permanent residence to Maharaja of Patiala and his family. It was built by Maharaja Narinder Singh in 1845. The palace is decorated with beautiful sculptures. Now it houses the Moti Bagh Palace museum of antique arts and artifacts. The old quarters were built in 1840s by Maharaja of Patiala, and was expanded in 1920s during the reign of Maharaja Bhupinder Singh. After independence Maharaja Yadavindra Singh donated it to Government of India which later converted a part of it into a museum, a taxidermy gallery, and North Zone Cultural Centre. National Institute of Sports, or NIS Patiala is situated in its East wing where the annual Patiala Heritage festival is celebrated. is a city located in south-eastern Punjab, in northern India.The city is the administrative capital of Patiala district. 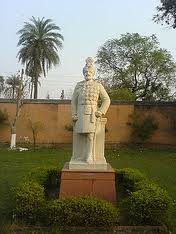 Patiala is located around a castle named Qila Mubarak (the Fortunate Castle). It was constructed by a militiaman, Baba Ala Singh in 1763. In the 18th century, the political vacuum created by the downfall of the Mughals was successfully filled up by the Sikh Misldars in Punjab by thwarting the designs of the Marathas and the Afghans. One among these independent principalities of the Sikhs was that established by Baba Ala Singh at Patiala. In popular culture, the city remains famous for its traditional turban (a type of headgear), paranda (a kind of tasselled tag for braiding hair), patiala salwar (a type of female trousers), jutti (a type of footwear) and Patiala peg (a measure of liquor).